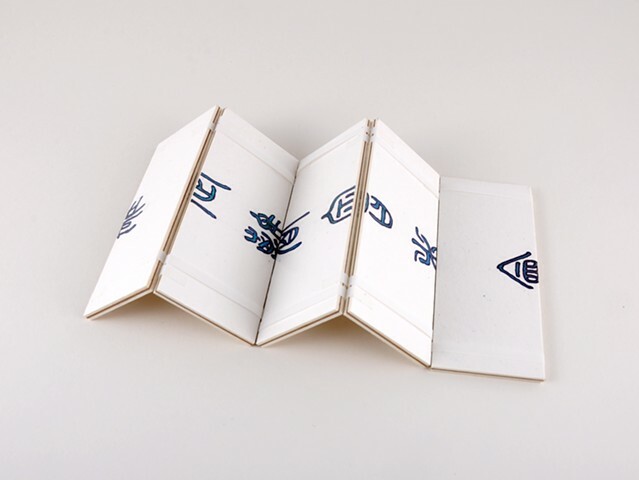 O is a meticulously created book utilizing the Jacob's Ladder binding method to flit endlessly between two phrases from Buddhist scriptures. Each phrase of the couplet, "Those who meet must part | Those who part must meet again" is written on either side of the book in traditional Chinese seal script. As one plays with the book, one cycles through the couplet over and over.